Brian Abraham, Ph.D., Whitehead Institute, in the laboratory of Richard Young, Ph.D. Cancer is inherently a disease of DNA genes broken by mutation, but not all broken genes make broken proteins. In fact, changing the amount of protein produced from a given gene can be just as detrimental to patients and their cells. Despite knowing that production-regulating DNA has a wealth of mutations in tumor cells, nearly all of the attention from sequencing projects has been paid to protein-altering mutation. His lab has begun to develop a method to find and characterize non-coding, protein production-regulating mutations in tumor genomes for a wide range of tumor types. This project rescues data from sequencing experiments that other labs discard to find these mutations, and they have already identified thousands of candidates in nearly 50 tumors. These mutations may be the crucial ones that lead to cancer. As chemical compounds are developed to target protein production, understanding which cancers rely on production-altering mutations will be essential. This project addresses neuroblastomas, acute lymphoblastic leukemias, small cell lung cancers, triple-negative breast cancers, pancreatic adenocarcinomas and glioblastomas. Dr. Abraham received his B.S. in Medical Informatics and Information Technology from the Rochester Institute of Technology and his Ph.D. in Bioinformatics from Boston University. Barbara M Grüner, Ph.D., Stanford University, in the laboratory of Monte Winslow, Ph.D. Pancreatic cancer is one of the most lethal diseases, mostly due to its ability to spread to other parts of the body and form secondary tumors through a process called metastasis. Despite the tremendous importance of this process, the mechanisms that drive metastasis remain poorly understood. Large drug screens have been performed on cancer cell lines grown in the laboratory, but cell lines do not resemble the complex situation in a cancer patient. Therefore, when performing drug screens to find inhibitors of complex processes like metastasis has remained difficult. On the other hand, testing thousands of drugs individually in mouse models of metastatic cancer is both time and cost prohibitive. To overcome this problem, Dr. Grüner has developed a platform allowing her to test many drugs all at the same time in the same mouse. 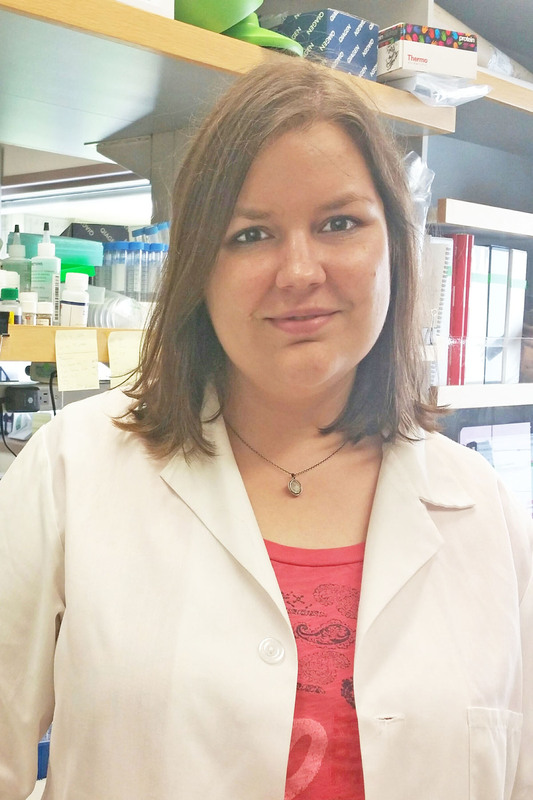 Her project will not only directly identify new drugs that can target cancer metastasis but will also improve our understanding of this very important process. Additionally, this platform can be used in the future to test additional new drugs across different cancer types in a time and cost efficient manner. This project will contribute to our understanding of this fatal process and enhance our ability to block cancer metastasis and therefore improve patient outcomes. The project addresses pancreatic ductal adenocarcinomas. Dr. Grüner received her Masters in Molecular Medicine from Friedrich Alexander University in Erlangen, Nuremberg, Germany and her Ph.D, from Technical University Munich. 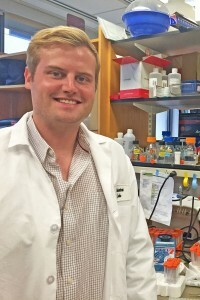 Andrew Mullen, Ph.D., Whitehead Institute, in the laboratory of David Sabatini, M.D., Ph.D. Multiple myeloma is a malignancy of antibody secreting cells in the bone marrow and accounts for 1% of cancer incidences in the United States. Due to a lack of effective and durable treatment options, most patients with this disease cannot be cured. A major challenge in developing effective myeloma therapies has been the highly heterogeneous nature of the disease, which is characterized by a diverse array of genomic alterations. However, one defining feature of multiple myeloma tumor cells is their unique ability to secrete extreme quantities of antibodies. Yet, the activities within the tumor cell that support this demanding process have not been defined. Dr. Mullen’s project proposes to test the hypothesis that multiple myeloma tumor cells possess metabolic dependencies that can be used to i) understand the diversity of the disease and ii) identify novel therapeutic liabilities. To accomplish this he is using a technique known as CRISPR to systematically silence the function of 3,000 metabolic enzymes in 15 different multiple myeloma cell lines in addition to several normal lines to study the effect on cell proliferation. Collectively, he believes this work will allow us to better understand the diversity of multiple myeloma and could identify novel metabolic liabilities that could be used to inform new treatments. Dr. Mullen received his B.A. in environmental science from Ithaca College, NY and his Ph.D. in Genetics and Development from the University of Texas Southwestern Medical Center. Peter K. Nicholls, Ph.D., Whitehead Institute, in the laboratory of David Page, M.D. Dr. Nicholls’ project focuses on identifying the embryonic origin of germ cells tumors (GCTs) of the reproductive tract, a cancer that predominately affects young men and women. In recent years, significant advances in molecular biology have led to a much cleaner understanding of the characteristics of testicular and ovarian GCTs. Despite this, the cellular origin of these tumors remains speculative. To address this deficiency, he is studying the process by which embryonic primordial germ cells (PGCs) – precursor cells to both eggs and sperm – undertake normal development. When these embryonic PGCs do not develop appropriately, mice develop GCTs in both the testis and ovary. Dr. Nicholls’ current work suggests that the origin of both ovarian and testicular tumors arises from a common failure to undertake normal embryonic development. In ongoing work, he is studying the process by which embryonic PGCs suppress their tumorigenic potential in the course of embryonic development. Combining genetic and molecular approaches, he will build on these preliminary results to create a new understanding of the origin of GCTs. Understanding the origin of these tumors will transform the scientific approach to studying these disorders, as well as offer opportunities to understanding the well-documented increase in these tumors over recent decades. This project addresses germ cell tumors of the ovary, testis and the midline. 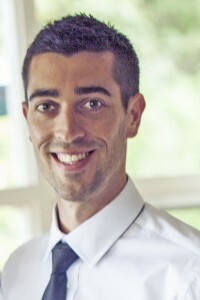 Dr. Nicholls received his Bachelor of Biomedical Science from Monash University in Clayton, Australia with honors and his Doctorate of Philosophy in Biochemisty and Reproduction from Monash University and Prince Henry’s Institute. 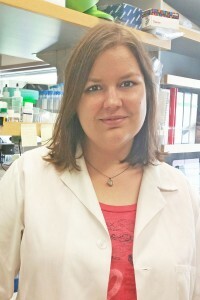 Dr. Nicholls studied at Frontiers in Reproduction at Marine Biological Laboratory, Woods Hole, MA. Wen Tang, Ph.D., University of Massachusetts Medical Center, in the laboratory of Craig Mello, Ph.D. Argonaute (AGO) proteins and their small non-coding RNAs, which are found in bacteria, fungi, plants and animals, play vital roles in regulating gene expression. A highly conserved AGO clade, called PIWI, is specifically enriched in germ cells and essential for fertility. Overexpression of PIWI has been showed in a wide variety of tumors: including seminoma, breast cancer and colon cancer. However, the molecular mechanisms by which PIWI regulates tumorigenesis and germ cells maintenance are poorly understood. 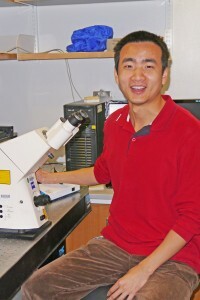 Dr. Tang is using Caenorhabditis elegans as a model species to investigate the biogenesis and functions of PIWI and other AGO pathways. These studies will provide novel insights into small-RNA-mediated regulation of gene expression with the potential to develop new treatments for infertility and certain types of cancers. Organisms experience a constant onslaught of invasive nucleic acids, such as viruses and transposable elements that cause genome instability and a broad range of diseases including cancer. The resulting arms race has driven the evolution of sophisticated nucleic acid-based immune pathways, such as RNA interference and bacterial CRISPR/CAS systems. The ability to recognize and respond to pathogenic nucleic acids, however, requires an equally sophisticated mechanism to avoid silencing of self-genes. Remarkably, opposing small RNA pathways regulate this self/non-self dichotomy in the nematode worm Caenorhabditis elegans. 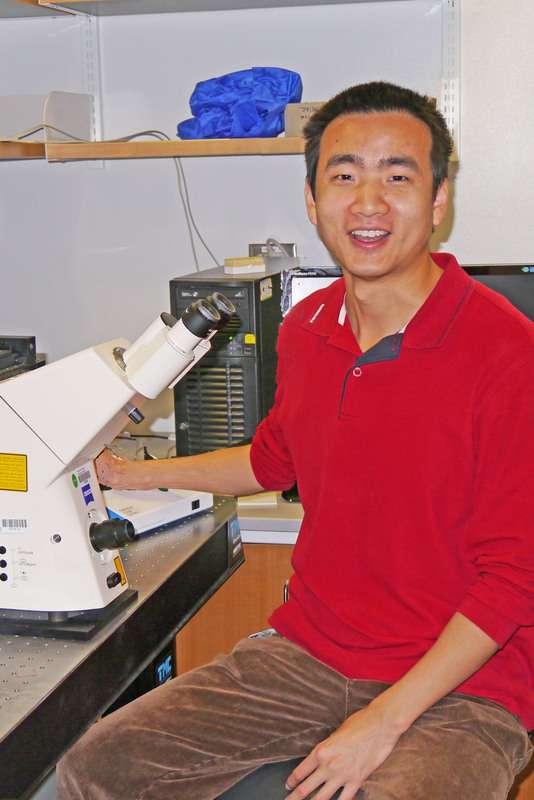 Dr. Tang’s research is focused on identifying and investigating key components in those pathways, as well as understanding how small RNAs provide heritable epigenetic signals that confer stable modes of gene expression. Dr. Tang received his from B.S. at Wuhan University in China and his Ph.D. from the Howard Hughes Medical Institute, University of Kansas Medical Center and Stowers Institute for Medical Research. 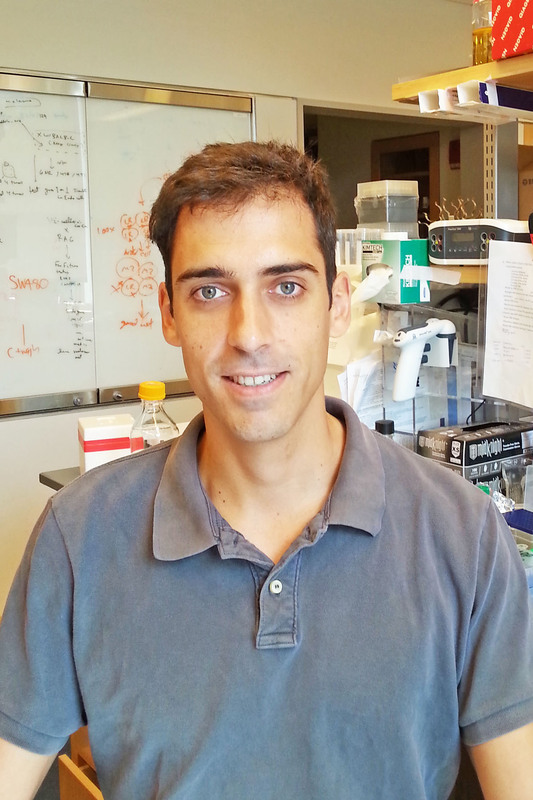 Bernardo Tavora, Ph.D., Rockefeller University, in the laboratory of Sohail Tavazoie, M.D., Ph.D. Dr. Tavora has developed an innovative approach that allows him to identify genes that are being expressed in vivo in the cells that form tumor blood vessels. 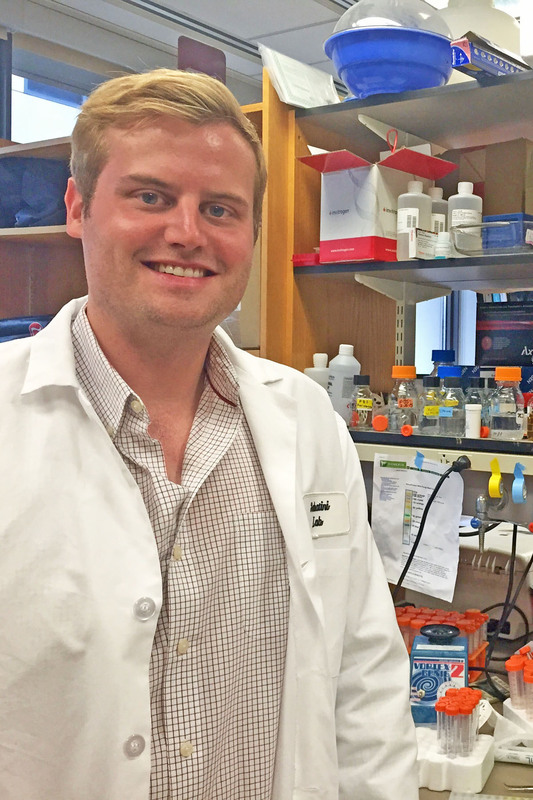 By comparing gene expression in endothelial cells in contact with highly metastatic cells relative to those in contact with poorly metastatic cancer cells his lab is identifying new endothelial regulators of tumor metastasis. 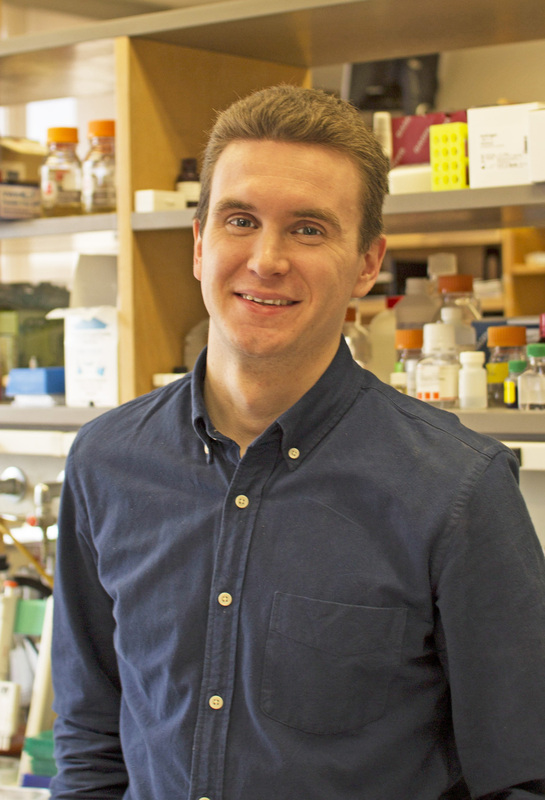 This may allow his lab to discover novel therapeutic targets and strategies for blocking metastasis formation or reducing metastatic progression, which is considered the major cause of cancer related deaths. The formation of metastatic colonies in distant organs contribute to the majority of cancer related deaths. The molecular and cellular mechanisms that drive this process are only recently being uncovered. Dr. Tavora and his colleagues have found that microRNA expression is a key molecular mechanism that enables the growth of metastatic colonies in distant organs.This project addresses highly metastatic tumors including melanoma, breast and colon. Dr. Tavora received his “Licenciatura” in Biology (Equivalent to joint BS/MS degree) from the University of Lisbon, Portugal and his Ph.D. from Barts Cancer Institute, Queen Mary University of London, UK.